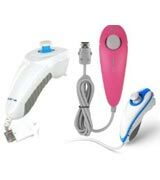 Contoured to perfectly fit a player's hand, the Nunchuk controller builds on the simplicity of the Wii Remote controller and goes an extra step to meet the needs of gamers. 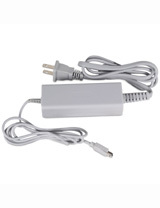 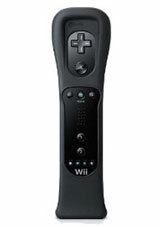 The Nunchuk controller connects to the Wii Remote controller at its expansion port and is used in conjunction with the Wii Remote controller. 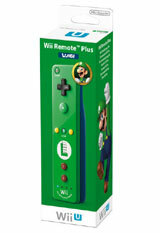 The Nunchuk controller contains the same motion-sensing technology enabled in the Wii Remote controller but also includes an analog stick to assist in character movement. 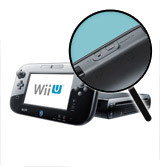 In several games, players will use the analog stick of the Nunchuk controller to move their characters and the Wii Remote controller to perform a specific action, whether that's throwing a pass in football or aiming a ranged weapon in an action game. 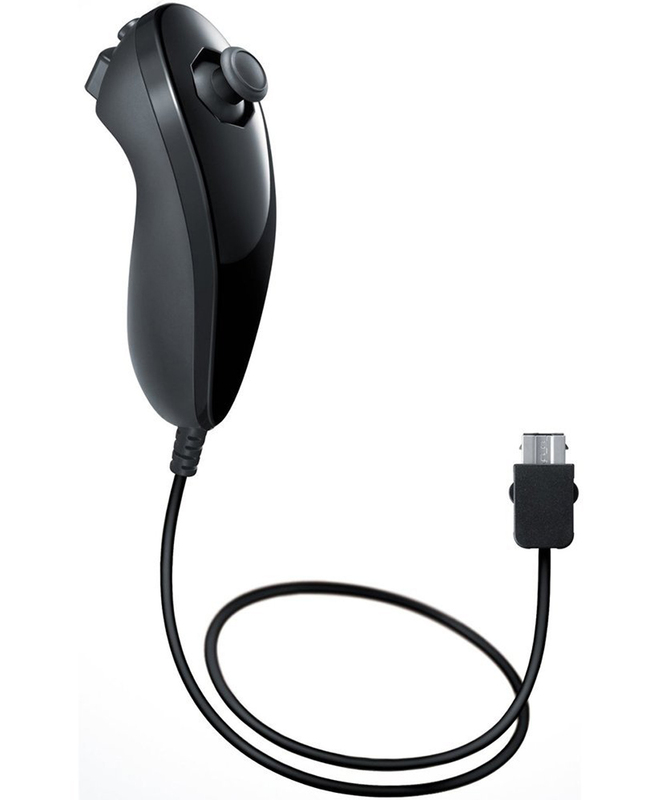 Along with the analog stick, the motion-sensing Nunchuk controller also contains two buttons positioned for quick access. 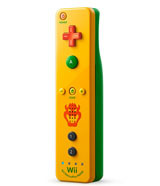 Because the Wii Remote and Nunchuk controllers are only relatively dependent on each other, players are free to hold them in whichever hand is most comfortable. 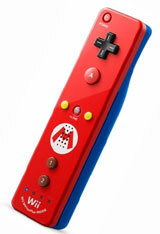 The ambidextrous nature of the Wii controllers grants accessibility seldom seen in game controllers. 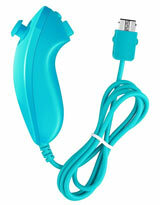 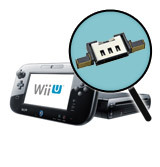 The Nunchuk is usable with both the Wii and Wii U systems.